Back in college, my friends and I would periodically go to school hockey games, and there was always some guy (probably on his second keg), screaming, "Hit 'em in the mind!". I never took it as a call to skull-splitting, cross-checking violence but rather what passed for Ivy League frat boy psychological warfare. Don't know if it helped us win, but it always livened up the arena. This Christmas, my parents bought me MindWave, an EEG biosensor which is intended to measure basic brainwaves, mostly around attention and meditation. I actually had my first EEG testing back in 2010, to look for any seizure activity. I had subsequent scans during sleep studies for apnea. This winter, I plan to start some EEG-based neurofeedback treatment at the rehab to learn some self-regulation techniques and possibly map topographic activity within different lobes. I have plenty of pictures showing damage caused by the stroke, but none which show healing. Depending on who you ask, the damaged or dead brain cells on a fair portion of the right side of my brain can no longer serve a purpose. However, there is increasing evidence that merely damaged cells can generate new cells (neurogenesis) and that healthy brain cells can be rewired and recruited to perform activities beyond their original intention (neuroplasticity). For instance, even though the right side of my brain used to control the left side of my body, my current left-side mobility is now presumably controlled by retrained neurons in my left hemisphere. Or, so the theory goes. I may never know for sure. Some might say it's a moot point -- the proof is in the pudding: if I can move my left side, it doesn't matter how or why. It's one of the many ways we are blissfully ignorant of how our bodies manage to function. But I'm curious nevertheless. That's why I'm looking to go down this rabbit hole. 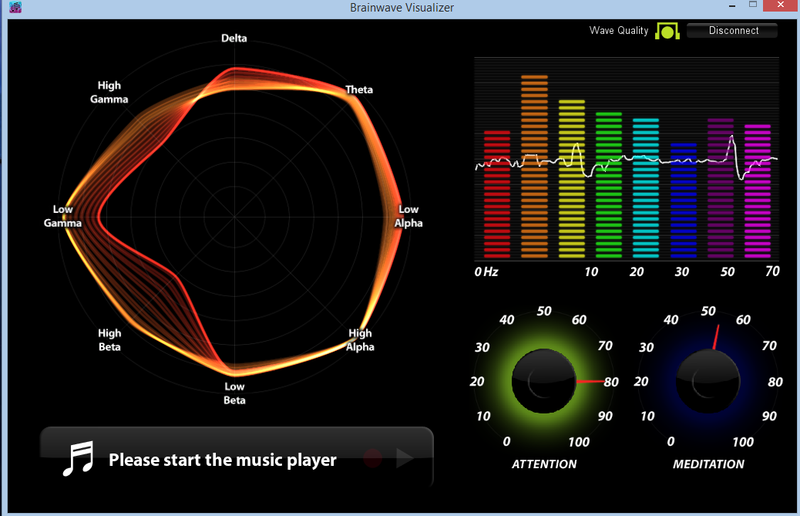 Brainwave Visualizer: shows the fluctuating levels of different types of waves. 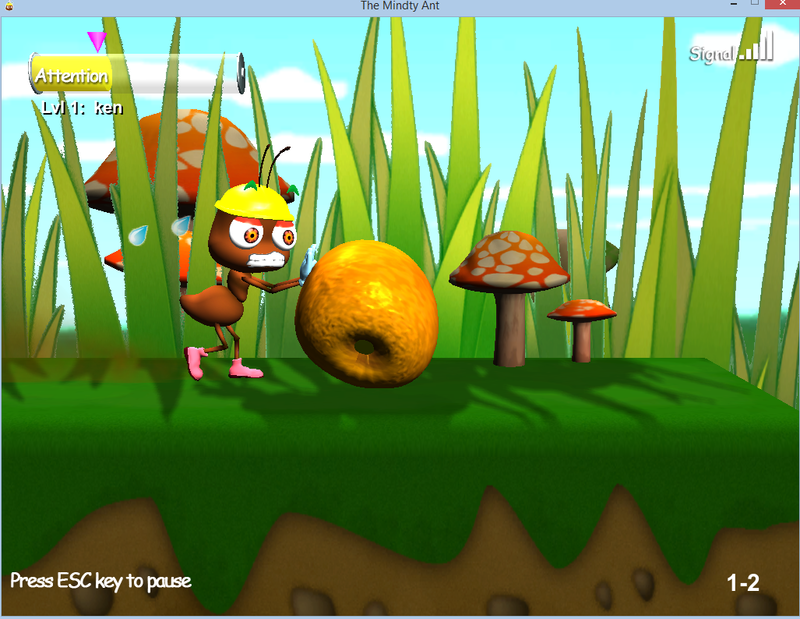 The Mindty Ant: By focusing on the fruit, you help the ant roll it into his food cache. 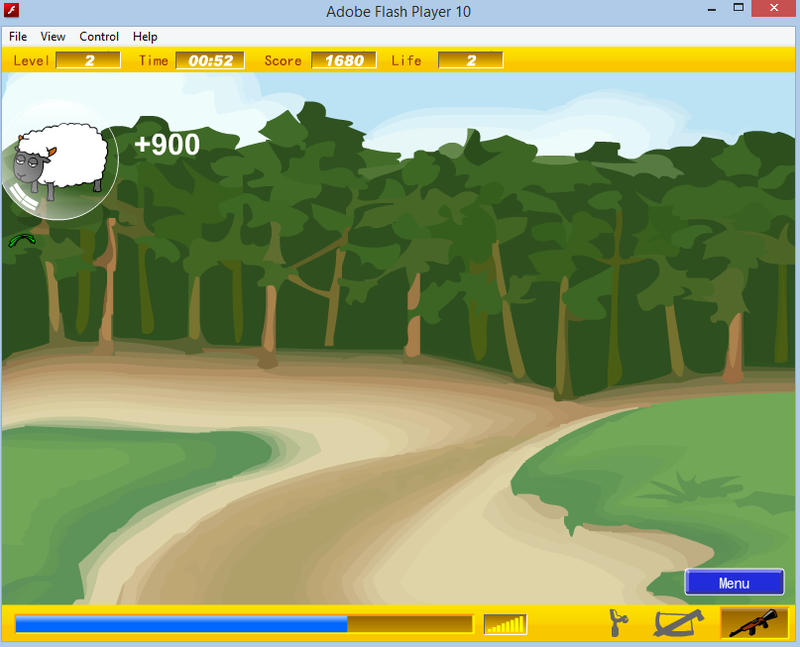 Mind Hunter: Focus allows the game to target animals, blinking then shoots a bubble that whisks them away (very child friendly). 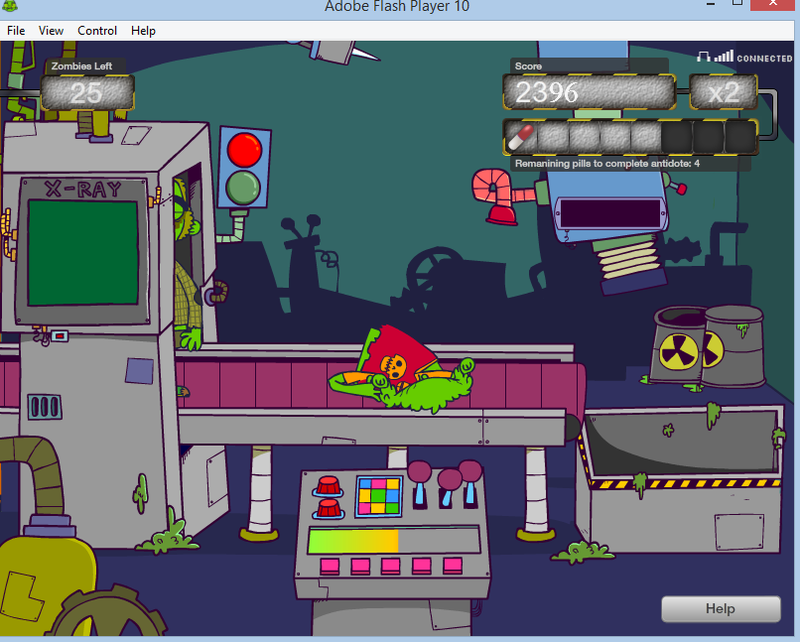 Zombie Pop: You focus on the zombies being made in the zombie factory in order to pop their heads. I haven't yet made it to the level where you actually fight the zombies. I'm not quite here yet, but I'm working on it. There are more formal brain training programs like Lumosity and Mind Games, but I find them a little too clinical.